CHENNAI: MDMK leader Vaiko, PMK founder S Ramadoss and Viduthalai Chiruthaigal Katchi leader Thol Thirumavalavan on Thursday demanded a thorough probe into the torture camps in Sri Lanka, citing reports of the findings by a UN panel. The revelation showed that the Tamils were tortured even after the end of the military offensive in 2009, they alleged. 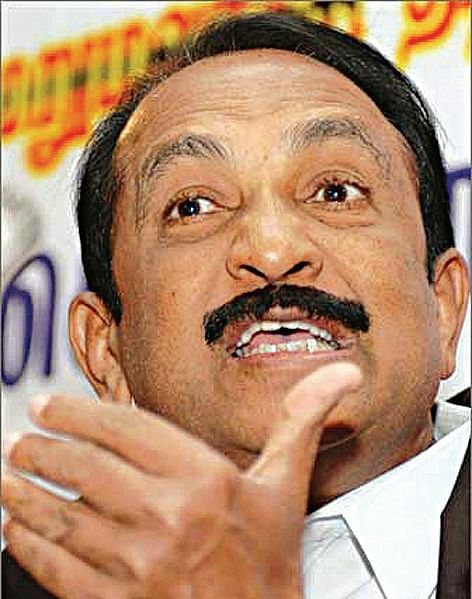 Vaiko said the torture camps in the naval base at Triconamalee was evidence that the Tamils were tortured in camps even after 2010. The UN panel had found blood stains in the camps and added that similar camps could have existed in other parts of the island too, he pointed out. According to the panel about 20,000 Tamils had vanished and this goes on to prove that genocide was continuing in the island nation, Vaiko said and stressed the need for an independent, international enquiry. Ramadoss said the panel had said the torture camps functioned for one year after the end of the war. The panel had also sought a full enquiry into the torture camps, he added. According to Ramadoss Tamil leaders like Rathinadurai and Balakumaran had been tortured in the camps and it is not known how many torture camps were there. Even now, hundreds of Tamils are languishing in Lankan jails, he noted. Torturing political prisoners too is a war crime, Ramadoss said and insisted on the release of all the political prisoners in Sri Lanka. He also demanded an international enquiry into the torture camps and wanted the culprits to be brought to justice. Thirumavalavan said the UN panel’s findings raises doubts that several Tamil youth could have been tortured and killed even after the end of the war. The UN panel itself had confirmed the presence of secret torture camps in Lanka, he said and demanded the release of political prisoners from Lankan prisons.